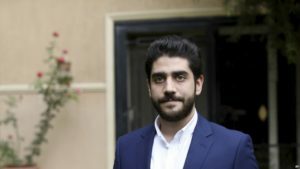 Egyptian police detained the youngest son of ousted President Mohamed Morsi from his home in Cairo early on Wednesday, family sources said. A statement released by Attorney General Nabil Sadek late Wednesday ordered the release of Abdullah Morsi on a 5,000 Egyptian pounds ($280) bail, after questioning by Egypt’s Supreme State Security Prosecution. Abdullah, a 25-year-old business student, has been waiting outside Cairo’s notorious Tora prison for hours once a month to leave money for food and necessities for his father, VOA reported. The former president has been jailed since he was overthrown by the military in 2013, following mass protests against his rule. Abdullah said Morsi has “no idea what’s going on in the country since he was arrested, they don’t allow him newspapers,” any access to news, or even a pen to write with. The family says the 67-year-old Morsi is suffering from diabetes and high blood pressure that have been exacerbated by harsh detention conditions, including sleeping on the floor and years of isolation that have at times put him in a diabetic coma. Abdullah is the youngest of Morsi’s five children and was sentenced to a year in jail in 2015 for alleged drug possession. Another son, Osama, is also in prison and was among hundreds recently sentenced in connection with protests against Mohamed Morsi’s overthrow. Posted by Geraldine Boechat on October 11, 2018. Filed under Zoom. You can follow any responses to this entry through the RSS 2.0. Both comments and pings are currently closed.